For starters, I must say that the Israeli Air Force Museum is a bit run-down, and hasn’t changed dramatically since I was first there around 23 years ago. Some of the ancillary exhibits are currently closed, but this is a good thing. It appears that they are finally in the midst of upgrading a few of the more outdated parts of the museum, and the core of the site — the historic airplanes — is enough in itself to warrant a visit. The planes are laid out in historical sequence, covering the three main period’s in Israel’s aviation history. It starts during the 1948 War for Independence era, with mainly propeller/piston planes cobbled together from whatever the army could get its hands on. These included British-made Spitfires and Czech Avias (their version of the German Messerschmitt), American Mustangs and even a Seabee amphibious plane that was only used here on land since local pilots didn’t know how to land it on the water. The second period, lasted from the 1950s until the era of the Six Day War in 1967. During that time France was Israel’s main supplier of planes, and it marked the beginning of the jet era for the IAF (Israeli Air Force). 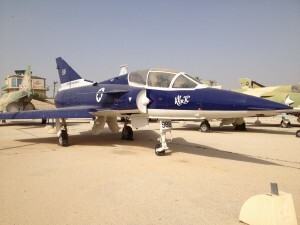 Major planes of this period included the Magister, Mystere and Mirage. Finally, post ’67 up through today, we get most of our aircraft from America, with highlight including the F-4 Phantom, A-4 Skyhawk, and F-15 Eagle. On holidays, such as the recent Passover, a few special aircraft are brought out, such as the F-16 and the Blackhawk helicopter (typically not on display). They also have air shows with older prop planes, such as the T-6 Harvard. Signage is great throughout the display, and along the way there are other sections beyond the three listed above. There are UAVs (which Israel is now a leading producer of), helicopters, transport planes, anti-aircraft batteries, enemy planes that were shot down or captured and of course examples of the Israeli-made planes such as the Nesher and Kfir. A few of the highlights might be the F-15s, a 707 that was used during the famous Raid at Entebbe, and a MiG that defected from Syria. 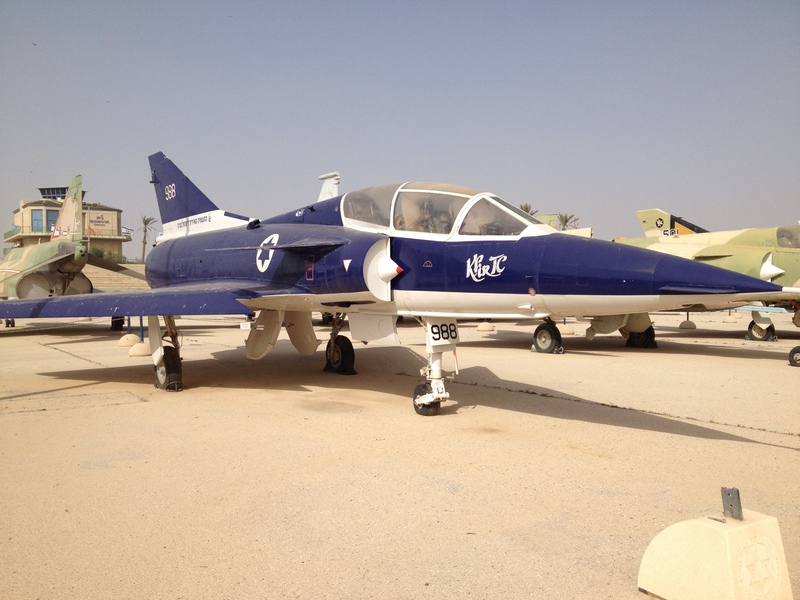 There is also one of the only 3 Lavi fighter planes ever built as a prototype — a purely original Israeli fighter that was eventually cancelled (due largely to financial reasons) in 1987 before going into full production. But while a visit on your own can be entertaining and educational, of course you gain a whole other dimension when attending with a tour guide. In addition to exploring the individual planes and learning their history, you can also get the stories that put them in context. When I guided there recently, I spoke about the experiences during the 1948 war of Modi Alon and future president Ezer Weizman. I told the story of Yael Rom, the first woman pilot trained by the IAF who was involved in the 1956 Sinai Campaign. I explained how the IAF activities at the start of the Six Day War helped ensure such a rapid victory in 1967. I recounted how Ron Arad went missing in action in Lebanon, and the heroic rescue of his pilot Yishai Aviram. And I told of Ilan Ramon, who later died in the Space Shuttle Columbia disaster, and his involvement in Operation Opera, Israel’s 1981 bombing of Iraq’s unfinished nuclear reactor. 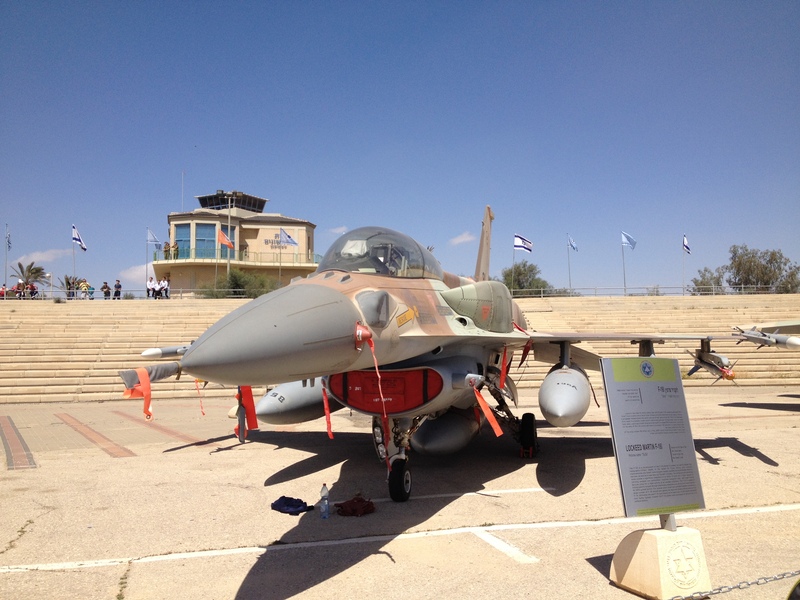 In short, the IAF Museum opens a window onto Israeli history, and is good for individuals and familes. I’d be happy to take you there on a trip to the northern Negev. Just let me know! Beersheva is an interesting area. My dad loved the air museum. Said there was some fantastic aircraft there. Sharon recently posted…PowerBreather Swimming norkel – Laps & snorkeling will never be the same!